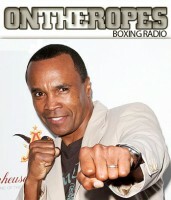 Joining the show first is long time Showtime analyst, Steve Farhood. I get Steve’s views on the Mayweather-McGregor bout and what he felt of the event as a whole. Farhood also discusses the possibility of Anthony Joshua meeting Deontay Wilder in the ring in 2018 and who he would favor in that heavyweight showdown. 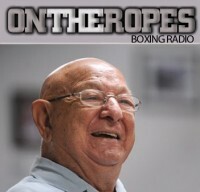 Additionally, Steve Farhood talks about Saul Alvarez’ controversial draw with Gennady Golovkin and who he feels would win the rematch. 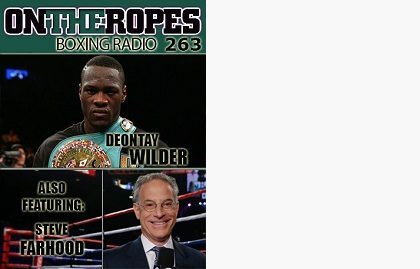 The main guest on this edition of “On The Ropes” is undefeated WBC heavyweight champion, Deontay ‘Bronze Bomber’ Wilder, who is on the cusp of his sixth title defense. The Alabama native speaks about his upcoming rematch with bitter rival, Bermane Stiverne, and how he feels this match will play out. Wilder also talks about Anthony Joshua and if he feels the pair will fight in the near future. 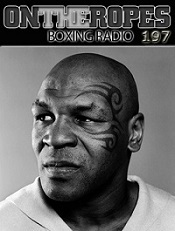 Deontay also talks about Dillian Whyte and if he has the desire to fight the British brawler. 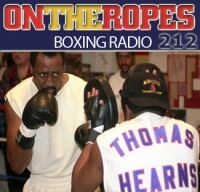 2 Responses to "Deontay Wilder on Stiverne rematch & Joshua super fight. 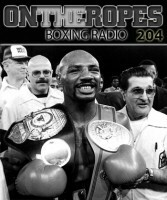 Steve Farhood speaks on a possible Mayweather comeback & Pacquiao’s future – OTR #263"
Oscar is going to make a Lemieux vs Canelo, before a GGG rematch, even if Saunders wins, they will fight him over GGG. it will be a full year away.